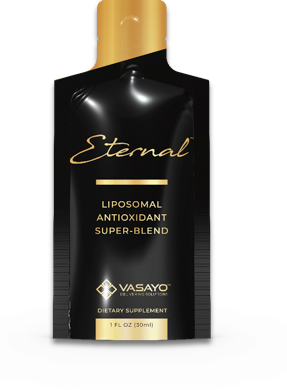 Introducing Eternal by Vasayo! 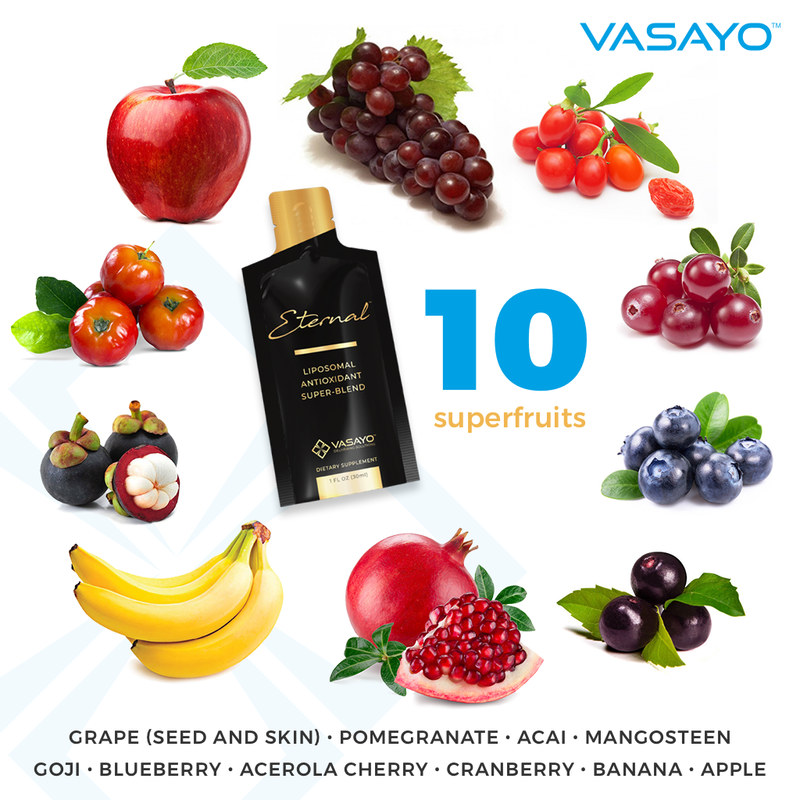 It’s a revolutionary age-defying blend that combines youth-restoring antioxidants delivered through Vasayo’s Advanced Delivery Technology for optimal absorption, assimilation, and performance from the inside out. Are you ready to start feeling (and looking) your best?  Picture it: thousands of tiny uncharged molecules racing through your body and wreaking havoc on your cells. They’re called free radicals and they can damage cells and lead to aging. Luckily, there is a solution. Antioxidants and polyphenols are chemical compounds that can prevent the oxidation that is caused by free radicals and can work to protect your cells from damage. Eternal is scientifically formulated to restore your youth and health by utilizing the world’s most potent antioxidants and polyphenols. This innovative combination is the ideal way to promote cellular lifespan and, in turn, help restore youth on all levels. YES! I’m ready to take advantage of Eternal’s potent antioxidants!